Holiday shopping, decorating, parties, family gatherings, and even children's Christmas wish lists for Santa are all sources of external stimuli that can put a great deal of stress on consumers this and every holiday season. For some, the added pressure to spread holiday cheer through gifts, food and festive gatherings can lead to excessive behaviors, which has an impact on consumer well-being. New research co-authored by Kogod School of Business Marketing Professor Sonya A. Grier titled, "Mindfulness: Its Transformative Potential for Consumer, Societal, and Environmental Well Being," proposes that mindfulness is an antidote to the adverse impacts of mindless consumption done out of automatic thoughts, habits, and unhealthy behavior patterns. The study published in the Fall issue of the Journal of Public Policy & Marketing, highlights some of the challenges to realizing the transformative potential of mindful consumption. It concludes with suggestions for consumers, institutions, and policy makers to promote mindful consumption. "Consumers can engage in mindful consumption practices to potentially mitigate the adverse effects that mindless consumption, such as overeating and drinking, or frivolous shopping, has on an individual's well –being," said Grier. Mindfulness is a type of awareness that enables a trained mind to make deliberate choices and be less susceptible to persuasive messaging. For the untrained mind, objective awareness is regularly sidetracked by an abundance of memories, perceptions, thoughts, emotions, and judgements, resulting in the squandering of time, energy, and attention, which are all limited resources for consumers. Mindfulness consumption practices can lead to an increased ability to make skillful financial decisions that are aligned with deeper values and facilitate well-being. Mindfulness consumption practices can result in an increased capacity to manage societal pressures to spend money or value possessions and greater ability to find ways to satisfy psychological needs at a deeper level. Additionally, mindful consumers are less susceptible to marketing tactics and more likely to have higher self-esteem as they are not motivated by approval from self or others. Mindfulness consumption practices can lead to an enhanced quality of time and experience with one's family, along with an increased ability to make better decisions for the well-being of family members. Mindfulness can help consumers have a slower consumption rate, which helps sustain happiness with products and reduce disposal behavior. Lastly, mindful consumption practices can result in a heighted ability to practice openness and tolerance toward other groups and perspectives. To practice mindful consumption, Grier recommends having awareness of what triggers unhealthy behavior or relationships, pay attention to the body's reaction to the consumption of food or products, and to understand the impermanence of cravings. 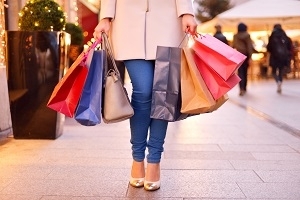 The study also recommends being aware of underlying motives to spend money, the value placed on material items and of constructing a sense of identity based on material goods.